The best perfumes in the world come with a price tag that’s fitting of a fragrance that’s meant only for the select elite. Here’s a list of the top 5 most expensive perfumes of the world. A perfume is something that makes us not look attractive, rather makes us smell attractive. There are many types of perfume and depending upon the concentration and formula, command different price tags. There has always been cut-throat competition in the field of fragrances and every perfume maker tries to make a perfume formula that would, not only stand out in the crowd but would also make the demand for the fragrance shoot up. Here are the top 5 most expensive perfumes in the world, which made it to our list of the perfumes which are most sought after, but are available only to a few. This perfume started rather humbly, but quickly gained popularity for its ‘explosive’ scent. It is a rare sight that a spicy scent gathers such an immense amount of popularity. Carron Poivre had made the perfume as a marker of their 50th anniversary. The scent is still considered as one of the best by the brand ever. The perfume comes in a handcrafted bottle that resembles a spice jar, as is expected of a perfume that contains notes of spicy pepper, with the base of woody notes. The perfume sells for a price tag of $1000 for an ounce, making the standard 50ml bottle cost a staggering $2000. Ylang-ylang, iris, apricot, carnations and other rare and exotic flavors make this scent a savory one. 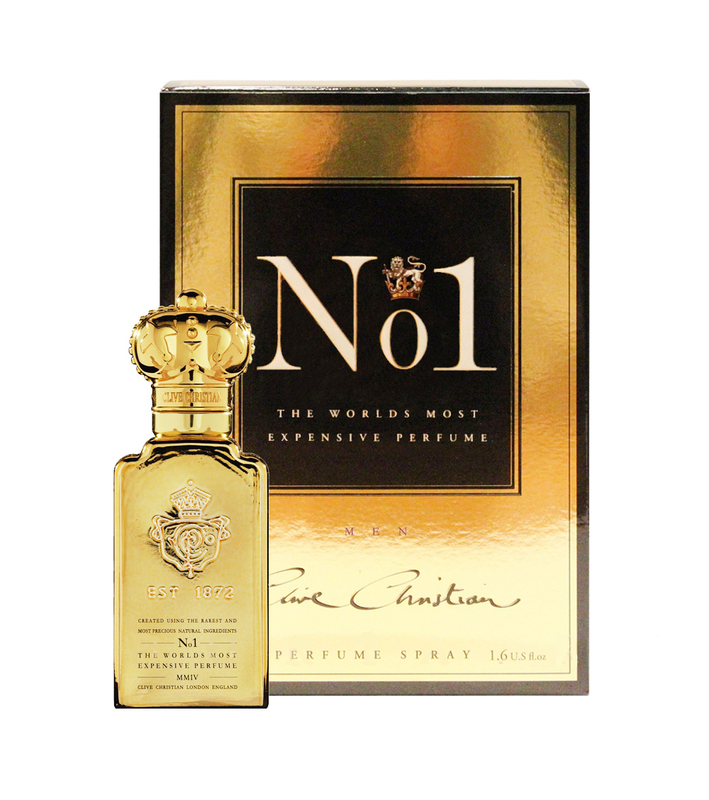 The perfume was initially considered the best in the world during the early 2000s decade, and also briefly earned the title of the world’s most expensive perfume. An 18-carat gold neck and a 5-carat white brilliant-cut diamond adorn the bottle of the fragrance, making a significant contribution to the price. The perfume sells for a hefty price of $2150 for an ounce, placing it on number 4 of our list of world’s most expensive perfumes. The name may sound funny to non-native speakers, but for the ones who truly adore fragrances and their importance in our society will recognise the name right away. The company was into crystal making, but the fragrance division made an entrance in the 1990s. As the name suggests, the Baccarat de Thebes draws inspiration for Egypt and has a bottle that’s shaped like a pyramid. The perfume has exquisite floral notes and is widely regarded as the favourite perfume for women. Frankincense and Myrrh make it up for the perfume to give it a middle-eastern feel. An ounce of the perfume sells for $6,800. Another Clive product, this one is way too expensive for anyone but millionaires to own. The Imperial Majesty contains a unique and top-secret combination of bergamot, lemon, sandalwood, white peach, mandarin orange, Indian jasmine, benzoin, cardamom and select other rare ingredients. These ingredients make the fragrance simply irresistible. Typical of Clive Christian, this perfume too adorns a small gold piece encrusted with a 5-carat diamond to add to the luxurious feel. Only 20 pieces of this super luxurious item have been made and sold. The most expensive this perfume can get is at $435,000. The DKNY Golden Delicious Million Dollar Perfume was made especially for a purpose. The box of the perfume itself is made of 14-karat yellow and white gold. To top it off, it is encrusted with 2,909 precious stones taken from all over the world. All these stone were put together to adorn the skyline of the New York City. The perfume is a combination of a variety of tones, the most prominent ones being Apple, Sandalwood, Musk and Mirabelle.The most expensive bottle of perfume sported a price tag of $1,000,000 and the money would be donated to Action Against Hunger charity organization. These are the top 5 most expensive perfumes in our list. As the world progresses, new flavors, scents and fragrances will keep coming up, and so will their prices as they become more and more popular.